Clement Marine Constructions (CMC) specialise in marine construction and pride ourselves on being leaders in innovation in the industry. 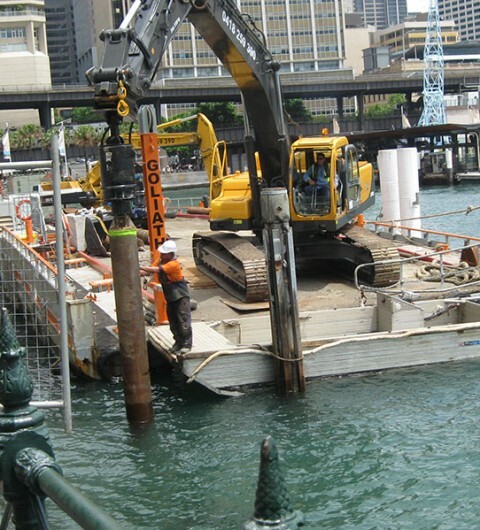 We have been servicing Sydney Harbour and surrounding waterways for over 25 years. We enjoy a reputation for quality and performance, providing solutions to customers’ needs that comply and exceed the statutory standards and building codes. We do not compromise on quality and we set our benchmarks high. 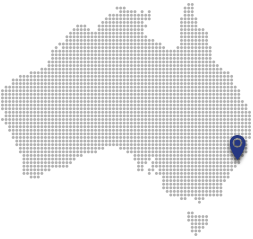 CMC is staffed by professional engineers and qualified trades people that are experienced in marine construction techniques, operations, repairs and maintenance. We pride ourselves on always exceeding our clients’ expectations. 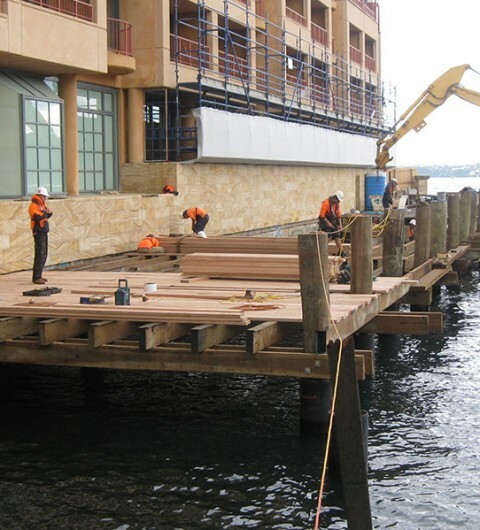 Clement Marine Constructions has the capability to construct a broad range of marine structures and service a broad client base ranging from Roads and Maritime Services, Shell Australia, Local Councils, Office of Environment and Heritage, Land Development Authority, Sydney Harbour Foreshore Authority, various Principal Contractors, developers and domestic landowners. CMC has demonstrated the capability to deliver ‘construct only’ forms of contract but regularly undertake Design and Construct projects. Our significant experience in the industry means we welcome the opportunity for ECI (early contractor involvement) in projects to develop solutions that improve quality, constructability and also provide economic benefit to our clients. Clement Marine Constructions have the capability to construct new structures and also upgrade or repair existing structures using all materials including concrete, ..
A large reason for the recent growth of Clement Marine Constructions has been our ability to complete both marine and civil elements in the construction of faciliti..
Clement Marine Constructions can install any type of marina system on the market. 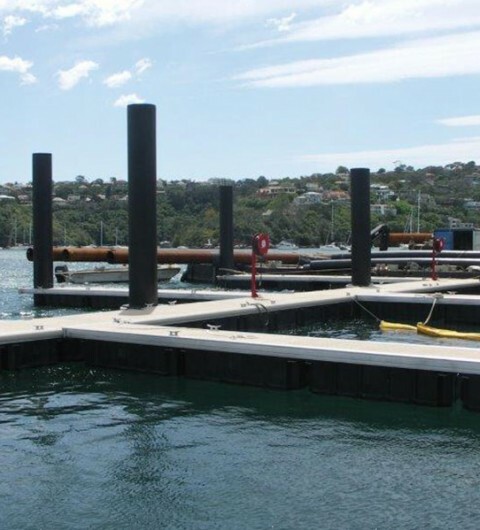 Not all marina types suit each site and as we are not affiliated with any of the m..
Clement Marine Constructions are experts in the design and manufacture of pontoons ranging from 450t concrete pontoons as installed at Circular Quay for RMS to our ..
Clement Marine Constructions can complete small dredging works of 10m3 up to several thousand cubic meters of dredging utilising equipment ranging from 2.0t - 50.0t.. 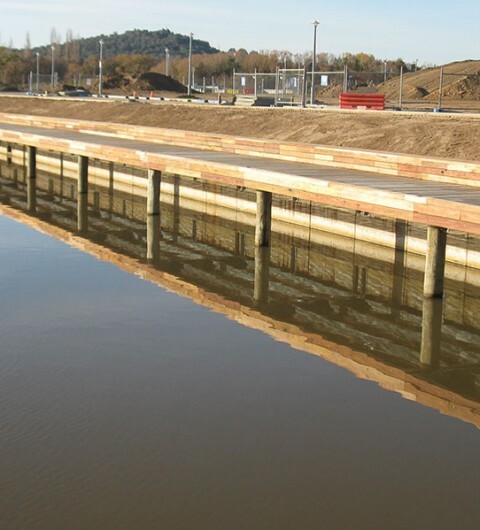 Following are some recent representative projects Clement Marine Constructions have been involved in. These projects form a small percentage of our portfolio and information on additional projects can be obtained by contacting us.